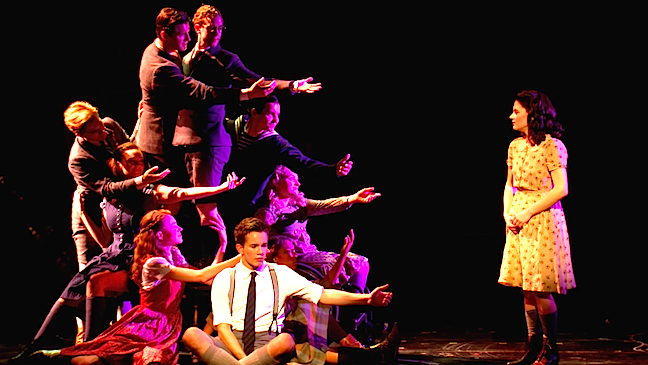 Geordie production presents another children-friendly play with ASL interpretation! ​Deep in the woods lived Little Witch, her beloved cat and her mother, Old Witch. One day, the ailing Old Witch finds an ogre caught in a trap. As a reward for saving him, Old Witch strikes a deal with the ogre to take care of her daughter when she is gone. All too soon, Little Witch finds herself living in the ogre’s kingdom. However, when Little Witch encounters the curious Hunter Boy near her new home, the ogre’s appetite takes over. Little Witch, helped by the sage words of her mother, is forced to make a choice: to save the boy, to save herself, or choose another path; a decision that illuminates the power she had within herself all along. 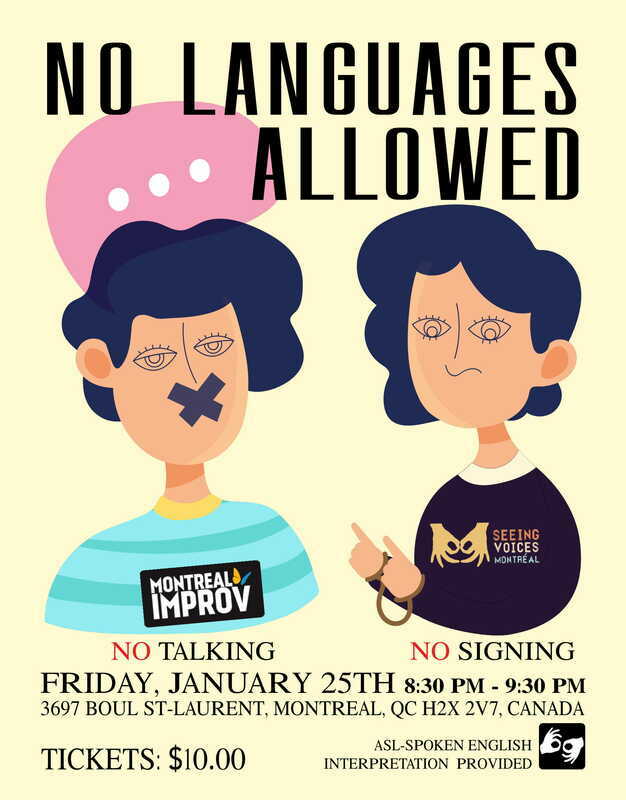 In conjunction with Montreal Improv, we are excited to present the annual Visual Improv, this year titled, "No Languages Allowed"! 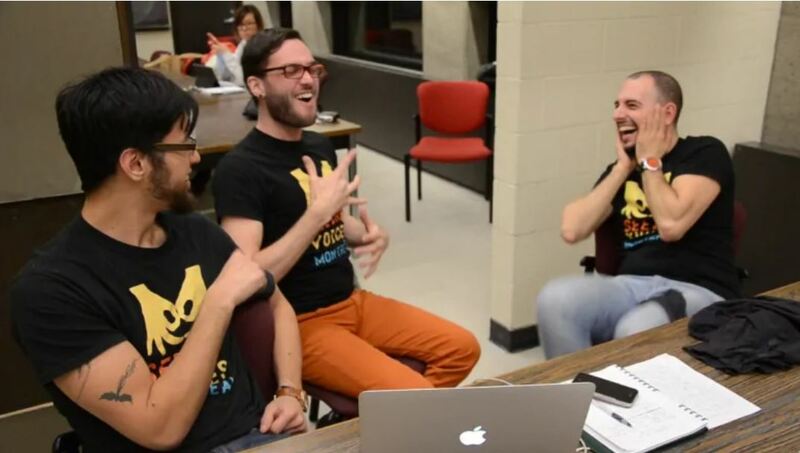 This exciting, exclusively silent improv show features Deaf performers from Seeing Voices Montreal, alongside hearing players from Montreal Improv. Join us for this guaranteed night of fun on Friday, January 25 at Montreal Improv. 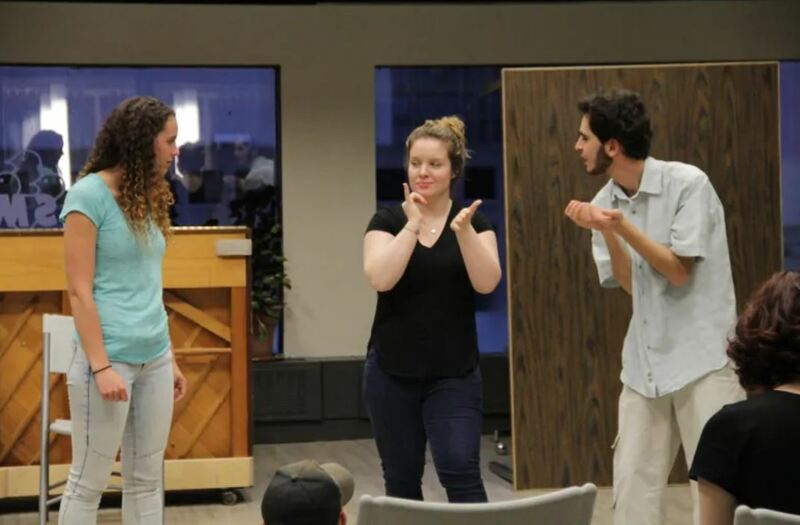 There is also an ASL social night right after the show! Watch our vlog above for more information. 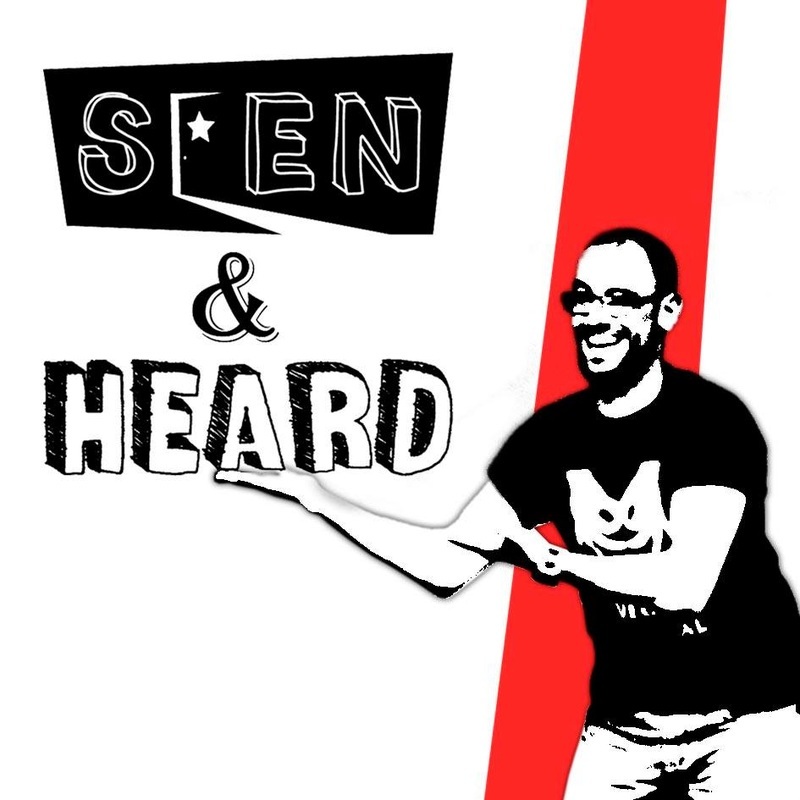 "Seen & Heard" Documentary Streaming Now! 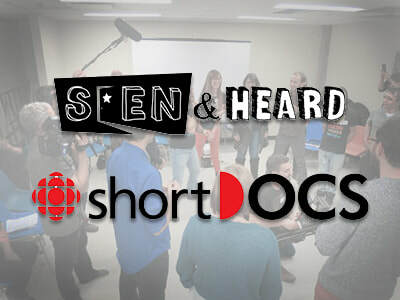 ​"30 Deaf and hearing people put on a unique show, and things get dramatic — even for theatre"
New digital series Seen & Heard, streaming now on CBC Arts, follows the process of casting and staging this mixed English and American Sign Language (ASL) production "The Little Mermaid" by Seeing Voices Montreal. 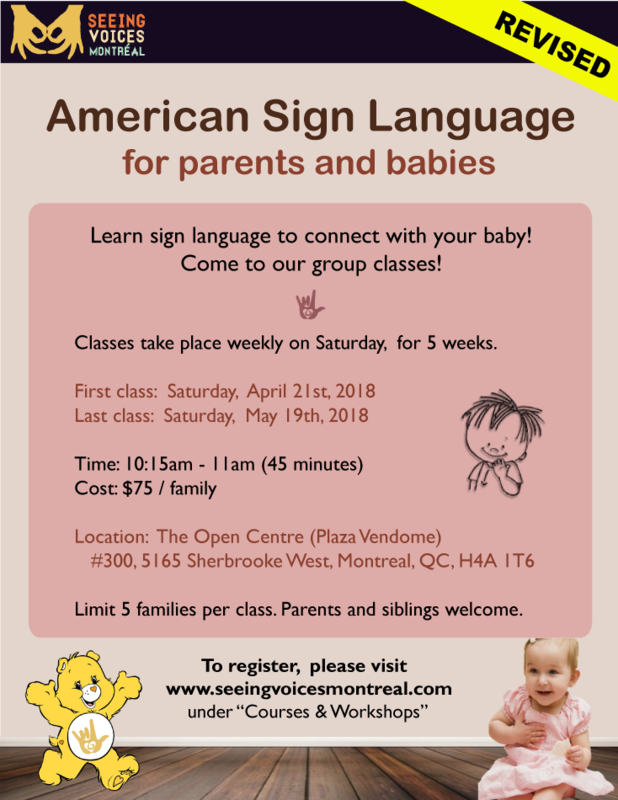 To make things more complex, many of the cast and crew have little or no theatre experience, and most of the Montreal actors use Langue de Signes Québécoise (LSQ) and don't know any ASL or English. 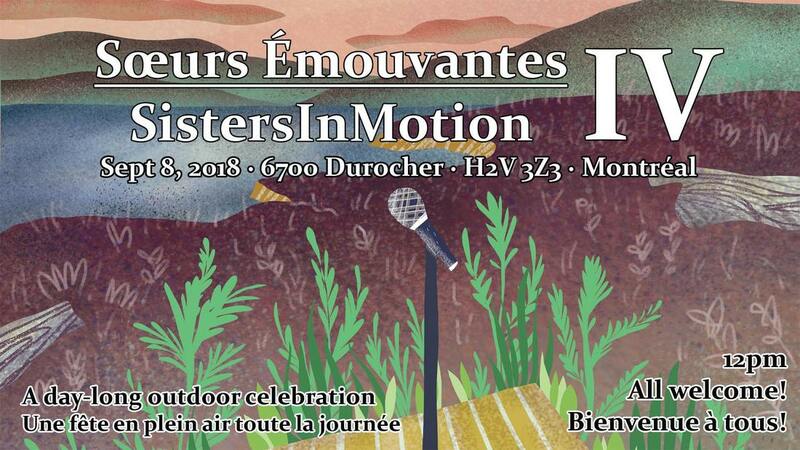 ​SistersInMotion MTL isn’t just another show. It’s a gathering together of our multi-layered communities that both celebrates and, if we’re open, reshapes who we are. Across our many divisions, we come together as one to make space for the sisters whose narratives we rarely hear: those of Indigenous, Black and racialized women and/or femmes ➳. Join us September 8th for this fourth edition of SistersInMotion as we reconnect to ourselves, one another and the land that has always held us. 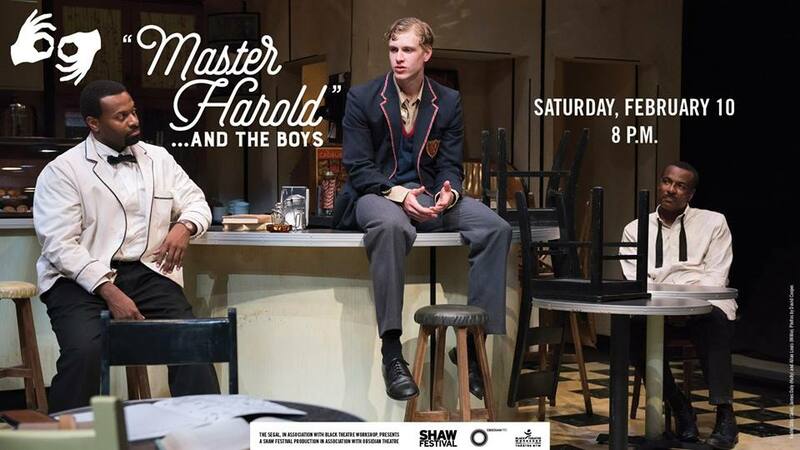 1 pm SHARP - Show begins - please be on time! Proceeds will go to both funding future events like workshops for BIPOC women and/or femmes and where possible to local Indigenous organizations. 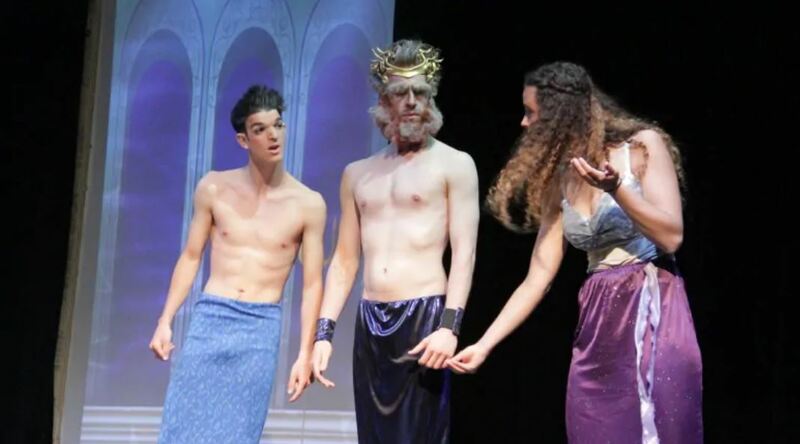 This iconic classic comes to hilarious contemporary light in an all-new production featuring incredible physical performances, lightening-speed set changes, razor-sharp dialogue, and…an elephant. 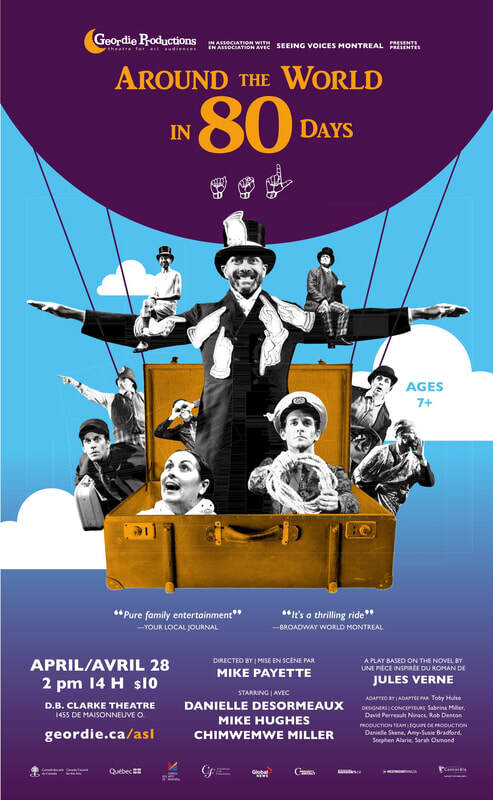 Travel across the globe with the clever Phileas Fogg and his astute partner-in-crime Passepartout as they encounter a cast of over twenty characters (played by 3 people!) on this worldly epic adventure. Will they make it before time runs out? 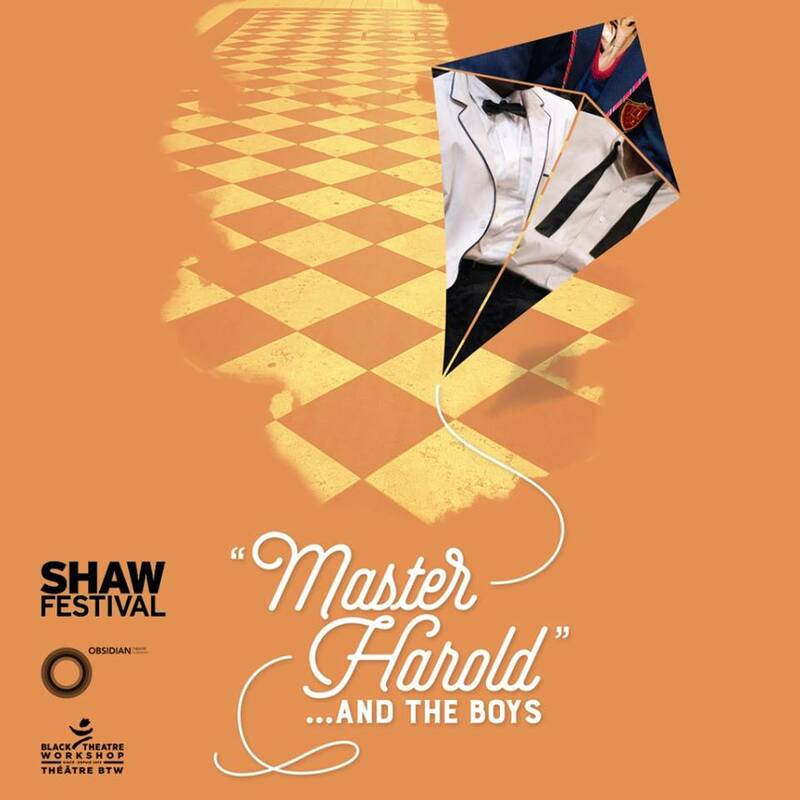 Tickets are $10 each for the Deaf & Hard-of-hearing community. 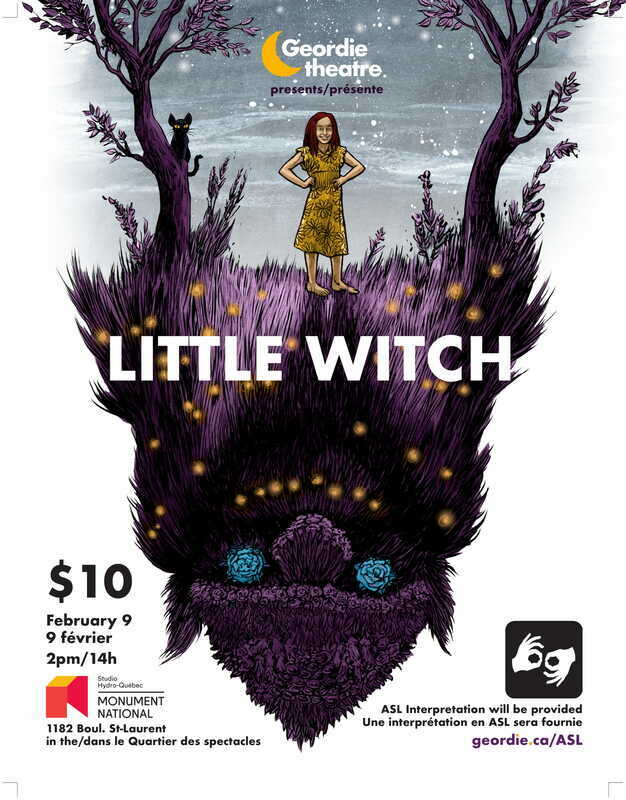 There will be Deaf and hearing ASL interpreters for the show on March 10 at 8 p.m.